Lake Sebu is known to be a natural lake. 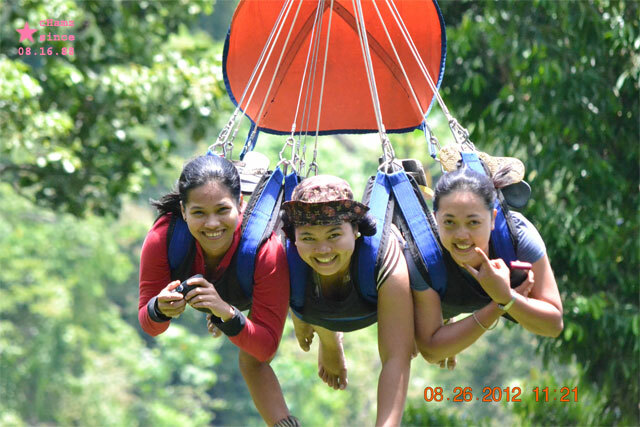 It is situated in South Cotabato and within the Alah Valley region. It has been said to be one of the many bodies of water supplying that plays a vital role in irrigation to the provinces of Sultan Kudarat and South Cotabato. However, some do not know that Lake Sebu is rich in many natural resources. Waterfalls are one of the many. 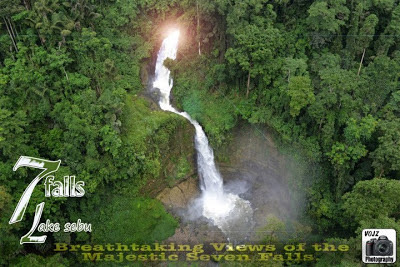 If one has a great passion in waterfalls, I suggest you visit Lake Sebu's 7 Falls. How to get to 7 Falls in Lake Sebu? 1. You can ride a bus or a private vehicle. 2. If you are from Davao (like me) or if you want to start the travel from Davao via bus, you can ride from the Davao Bus Terminal. Bus routes you can choose from are General Santos and Marbel. But I prefer you choose the Marbel route. 3. It will take 4-5 hours travel from Davao City to Marbel and will cost a fare of P200 - P300. 4. From Marbel, you will have to ride a van or another bus. It will cost P25-P30. The driver will drop you in the Public Market of Surallah where public single motorcycles can be found. 5. When you ride the single motorcycle, you can pay the driver of the motorcycle for P50-P70 if you want to be accompanied up to the entrance of the 7 Falls. 6. Thereby, you can pay P20 for the entrance fee. What's in 7 Falls in Lake Sebu? 1. The 7 waterfalls - you will be in awe to see these lovely nature! 2. The Highest Zipline in Southeast Asia - you will not enjoy much your visit in 7 Falls if you will not try riding the zipline! 3. The Bungy Trampoline - if you want to try to jump as high as you can, ride on! 4. The Hikong Nature Park and Restaurant - you will love the taste of freshly fried Tilapia! Visit the 7 Falls in Lake Sebu, NOW! THanks for d info Chamz!